On the occasion of the James Bond 50th anniversary, a James Bond World is going to be setup next month at the exhibition hall in 360 Mall. There will be a whole bunch of activities taking place at James Bond World but probably the biggest highlights will be the actual cars from the James Bond movies. Among the cars that will be on display is the Aston Martin that was used for the big crash scene in “Casino Royale”, the Aston Martin with mounted weapons used in “Tomorrow Never Dies”, the Vanquish DBS from “Quantum of Solace” and the DB5 featured in the latest James Bond movie “Skyfall”. Originally the hot actress Gemma Arterton from “Quantum of Solace” was also supposed to attend the opening night but that was when the opening night was originally set for October 26th. Now that the event has been pushed back she most likely won’t be able to make it. James Bond World is set to open to the public on November 1st. Paramount Pictures has again delayed the release of their upcoming Hansel & Gretel: Witch Hunters, though by significantly smaller margin than the original postponement. The film will now hit theaters on January 25, 2013 and will also receive an IMAX release on the same day. The film arrives from Dead Snow director Tommy Wirkola and stars Jeremy Renner, Gemma Arterton and Famke Janssen. Set 15 years after the Grimm’s Fairy Tale siblings incident at the gingerbread house, the film finds Hansel and Gretel working as bounty hunters, tracking down supernatural beings. The new date puts Hansel & Gretel: Witch Hunters up against Parker and Movie 43. On the occasion of the 50th anniversary of James Bond and the 23rd movie Skyfall, Aston Martin Kuwait is bringing Gemma Arterton to the VIP movie avant premiere set on 26 / 10 /2012. Gemma has already appeared in the Bond movie Quantum of Solace back in 2008, but is best known for her roles in Clash of the Titans and Prince of Persia – despite her smashing beauty, Gemma was born with extra fingers and had surgery to correct this condition, known as polydactyly. The event and exhibition will open to the public on the 27th of October till the 3rd of November – Aston Martin’s Bond cars will be exhibited at the oum Kalthoum Hall. She has been a Bond girl and earned her place as one of Hollywood’s leading ladies. But Gemma Arterton says making her debut in a new West End musical will be the “scariest thing” she’s ever done. Arterton, 26, told the Standard that her voice “may surprise people”. The production is a version of Made In Dagenham, the story of female factory workers fighting for equal pay, and is being written by Richard Bean, the man behind the hugely successful One Man Two Guvnors. It will be directed by Enron director Rupert Gould, with music by Bond composer David Arnold. The actress was speaking at the exhibition by artist Chris Moon — who has revealed that he destroyed £500,000 worth of his own works for not meeting his exacting standards. Arterton owns several of his pieces. She said: “I always wanted to be a singer before I was an actress. I then sort of got into acting, but my biggest love has always been music and when I was at Rada I did a musical there. I thought, ‘I love it’, and I felt like I was in my element. She added: “For me, it felt like the next hurdle in my career. The thing I’m most excited about is that my voice may surprise people. The production team is still seeking investment but hopes to be in full rehearsals in a year with a view to opening at Christmas next year. Gemma Arterton stars in “Made in Dagenham” musical? It’s a striking role for Gemma Arterton: singing out for women workers who took to the picket line in 1968 to end sexual discrimination over pay. At a workshop of a musical version of the film Made In Dagenham, Arterton (who starred opposite Daniel Craig in the 007 film Quantum Of Solace) played the lead role of Rita — the part Sally Hawkins created on the big screen. In the film, Sally portrayed a machinist who sewed car seat covers at Ford’s Dagenham plant. She becomes an unlikely workers’ heroine, leading her colleagues in a dispute that went on to become a landmark in equal pay legislation. At the workshop, held in a church hall off Tottenham Court Road, Gemma — who studied singing as part of her training at the Royal Academy of Dramatic Art — performed the first act of the musical adaptation directed by Rupert Goold, along with fellow cast members. The creative team also included book writer Richard Bean (he wrote the National’s phenomenal hit One Man, Two Guvnors), composer David Arnold (scored Bond films and was musical director of the Olympics closing ceremony), and lyricist Richard Thomas (wrote librettos for the Jerry Springer and Anna Nicole Smith operas). Gemma, who played Polly Peachum in a production of The Beggar’s Opera when at RADA, has long wanted to do a stage musical. Although no official deal has been done, she has indicated to the musical’s producers at the Stage Entertainment company her keenness to move ahead with the project, once contracts for a London theatre have been signed. She certainly has the chops for the part. And she sure can dance, as she proved at the workshop (and as I know from personal experience, after she dragged me onto the dance floor at Soho House in Toronto). And she shows she can sing in the delightful Song For Marion, which will be shown during the BFI London Film Festival. 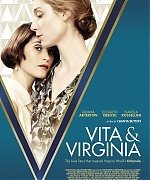 The film version featured an array of British actresses including Andrea Riseborough, Geraldine James, Miranda Richardson, Rosamund Pike and Jaime Winstone. A few blokes such as Bob Hoskins and Daniel Mays were allowed a look-in, too. The musical’s being produced in association with Elizabeth Karlsen, Stephen Woolley and BBC Films, who were behind Nigel Cole’s movie. At the last London Fashion Week back in February she was seen looking rather uncomfortable sat next to Tinie Tempah.